Description: Wang Tu-ming's funeral Nth Thailand. Widow with coffin, body in background under blankets. The house had been completely cleared and swept the moment after Ah Teh died. Caption: Widow with coffin, body in background under blankets. 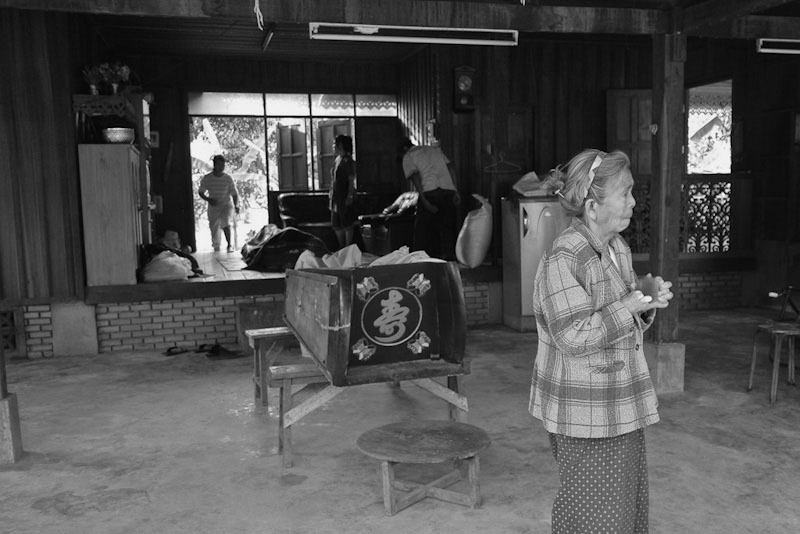 The house had been completely cleared and swept the moment after Ah Teh died.